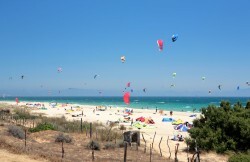 During the last four decades the Spanish tourism industry has grown to become the second biggest in the world. Today, the climate of Spain, historical and cultural monuments and its geographic position together with its facilities make tourism one of Spain’s main national industries and a large source of stable employment and development. The Spanish hotel star rating system has requirements much more demanding than other European countries, so at a given rating Spanish accommodations worth higher. Spain officially known as the Kingdom of Spain and a member of the European Union is located in southwestern Europe on the Iberian Peninsula. The spanish territory also includes the Balearic Islands in the Mediterranean and the Canary Islands in the Atlantic Ocean off the African coast. Mainland Spain is a mountainous country, dominated by high plateaus and mountain chains. After the Pyrenees, the main mountain ranges are the Cordillera Cantábrica, Sistema Ibérico, Sistema Central, Montes de Toledo, Sierra Morena and the Sistema Penibético whose highest peak, the 3,478 m high Mulhacén, located in Sierra Nevada, is the highest elevation in the Iberian peninsula, while the highest point in Spain is the Teide, a 3,718-metre (12,198 ft) active volcano in the Canary Islands. The Meseta Central is a vast plateau in the heart of peninsular Spain. There are several major rivers in Spain such as the Tagus, the Ebro, the Duero, the Guadiana and the Guadalquivir. Alluvial plains are found along the coast, the largest of which is that of the Guadalquivir in Andalusia. Due to historic, geographic and generational diversity, Spanish literature has known a great number of influences and it is very diverse. Some major literary movements can be identified within it. 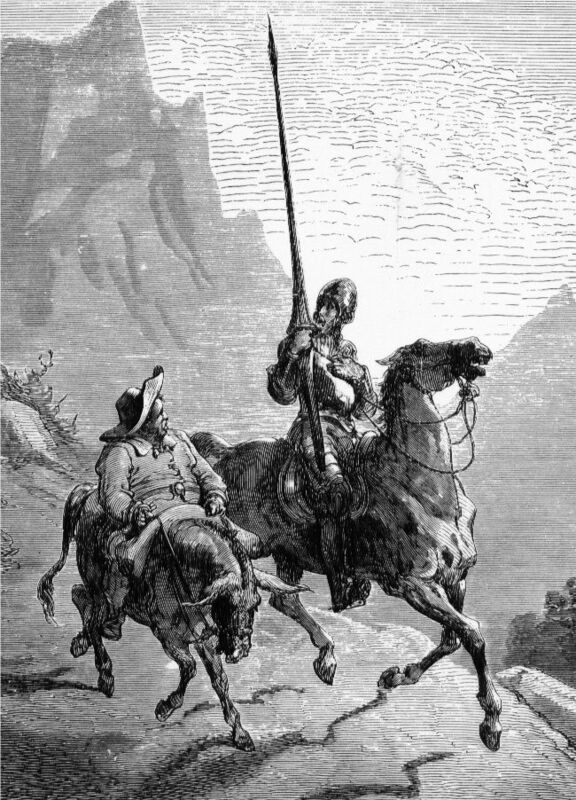 Miguel de Cervantes is probably Spain’s most famous author and his Don Quixote is considered the most emblematic work in the canon of Spanish literature and a founding classic of Western literature. Spanish music is often considered abroad to be synonymous with fl amenco, a West Andalusian musical genre, which, contrary to popular belief, is not widespread outside that region. Various regional styles of folk music abound in Aragon, Catalonia, Valencia, Castile, the Basque Country, Galicia and Asturias. The most popular traditional musical instrument, the guitar, originated in Spain.